Anchorage BMW owners love the service they receive at Specialized Import Auto Service. We use the highest-quality tools and equipment and our BMW repair is next to none. It doesn’t matter if your vehicle requires routine BMW maintenance or emergency repairs, we will do everything possible to keep your BMW running in excellent condition. You can always count on the SIAS team. BMWs are well designed and engineered vehicles that are owned by many people in the Anchorage area. To protect your investment, regularly scheduled BMW service is a must. We offer quality BMW repair with a combination of highly trained technicians, state-of-the-art tools, and the latest diagnostic equipment. At Specialized Import Auto Service, your BMW will be in capable and expert hands. We are dedicated to making sure each one of our Anchorage customers receives BMW service that is professional, honest, and dependable. Our BMW repair also includes scheduled maintenance inspections Whether you own an Audi, BMW, Mercedes, VW Volkswagen, or a Volvo, we guarantee you will receive incomparable service. If you have any questions about how your BMW is operating, feel free to contact us at (907)562-0005. Our auto repair service advisors in Anchorage look forward to speaking with you. Trust us for all of your BMW vehicle repairs. 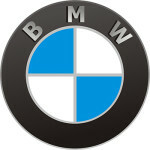 Our technicians are ASE certified and have many years of experience and training in BMW repair. We are a full auto repair facility utilizing up-to-date computer technology such as our Manufacturer Computer Diagnostics Equipment.